Principal clarinetist of the San Antonio Symphony and Principal clarinetist of the ProMusica Chamber Orchestra, Ilya Shterenberg balances a busy career as an orchestral musician, chamber music performer, and a soloist. Hailed by the press: “He possesses that miraculous gift of an innate musical sense…music seemed to flow toward the infinite, as if divinely ordained”, he has been featured as a soloist with San Antonio and Charleston symphonies, performing works by Mozart, Weber, Rossini, Debussy, and Strauss, as well as rarely heard clarinet concertos by Krommer and Kurpinsky. 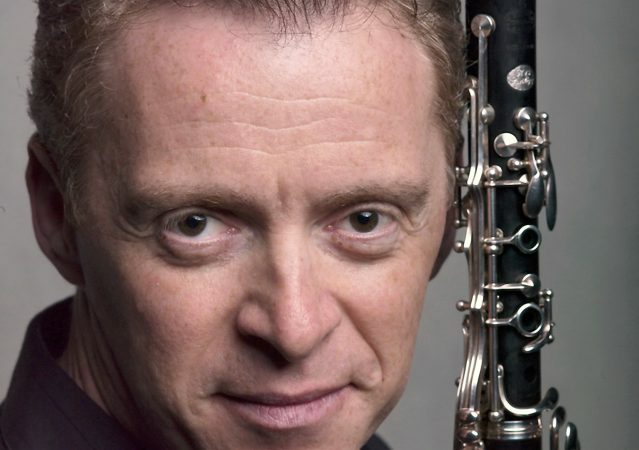 He has been featured as Principal clarinetist with Cincinnati and Seattle Symphonies and has collaborated with some of the most notable conductors of our time, including Roger Norrington, Seiji Ozawa, Dennis Russell Davies, Herbert Blomstedt, Daniel Barenboim, George Solti, Pierre Boulez and others. Away from the orchestras, Ilya is very active as chamber musician, festival performer, and educator. He is a member of the Olmos Ensemble, a chamber group made up of principal woodwind players from the San Antonio Symphony. His summer appearances have included Colorado Music Festival and Britt Festival, as well as the Piccolo Spoleto Festival – USA. As an educator, he has been a faculty member of the College of Charleston, the University of Texas San Antonio, and UT Austin. A native of Ukraine, Ilya began his music education at the Kosenko Music College, in Zhitomir, city of his birth. After his immigration to the United States in 1989, he received an Artist Certificate diploma from the Meadows School of the Arts, Southern Methodist University, after which he did further study at DePaul University in Chicago. His principal teachers have included Larry Combs, Stephen Girko, and Charles Neidich. Mr. Shterenberg’s performances have been heard on National Public Radio stations throughout the country as well as Chicago’s WFMT nationwide classical music network. He performs frequently as a recitalist and chamber music artist with Cactus Pear Music Festival and the North Shore Chamber Music Festival. Ilya is a Buffet Crampon USA performing artist.